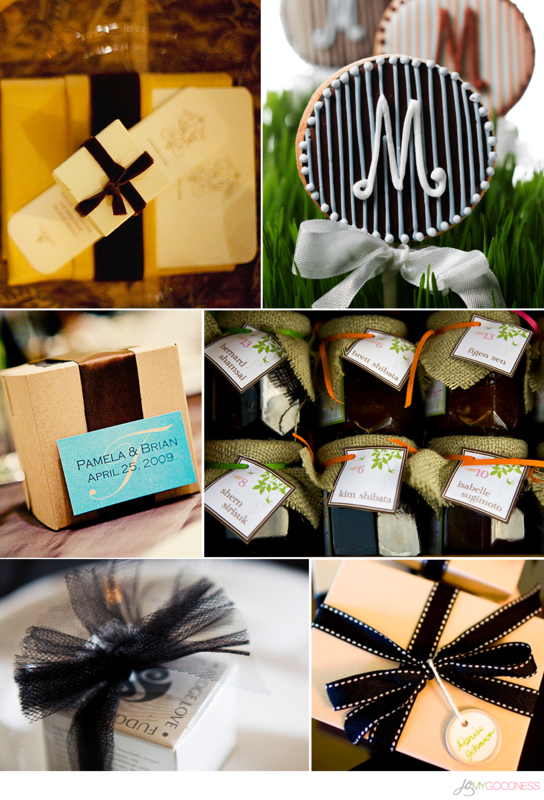 Wedding or party favors can often be overlooked, but they can easily add something personal to your soiree. Whether it's extravagant or simple, personal & reflective of the couple's personality is key. Below are some of my favorite shots of favors. As you can see, they can come in a variety of shapes, sizes, & colors. Favors can be anything from eatable, smokable, knick-knacks... again, the possibilities are endless.